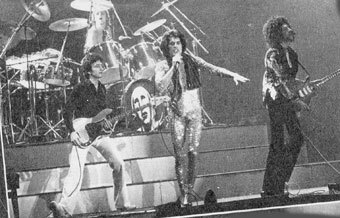 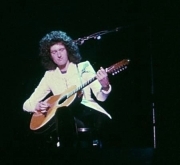 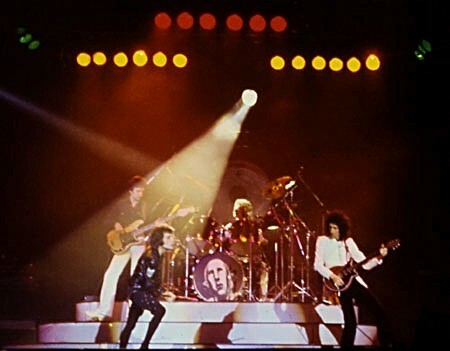 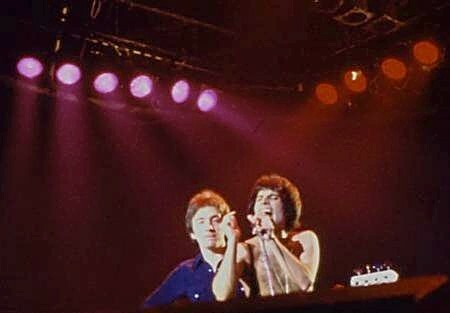 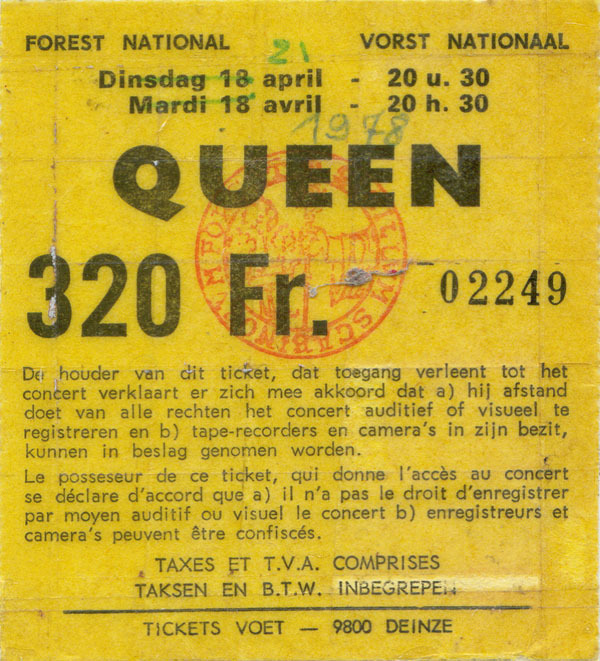 Queen were originally booked to play only April 16 and 17 in Brussels, but this third night was added due to overwhelming ticket sales. 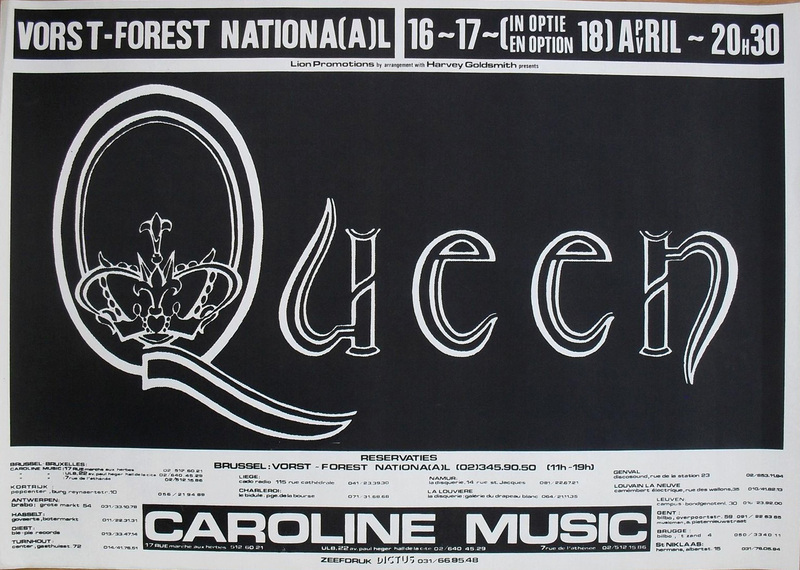 The 18th wasn't possible for some reason (although this poster indicates it was suggested), so the band returned on the 21st after the Rotterdam shows. 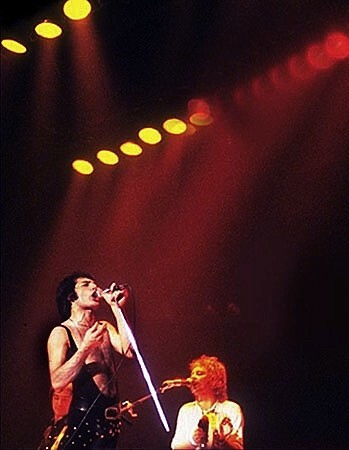 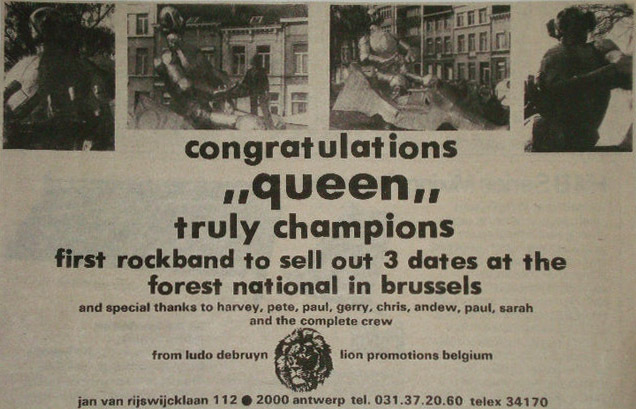 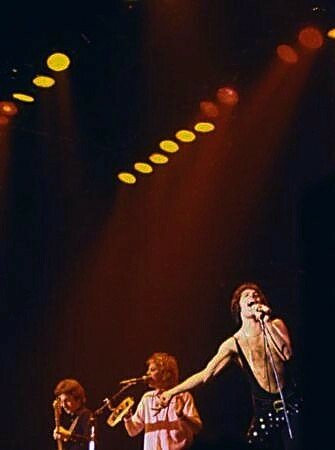 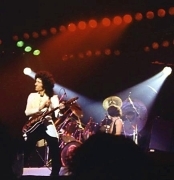 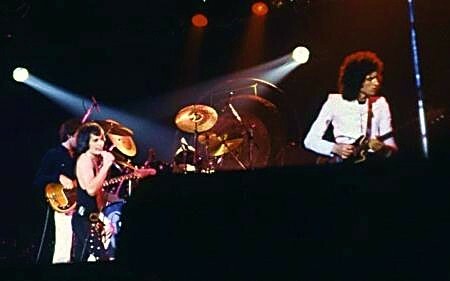 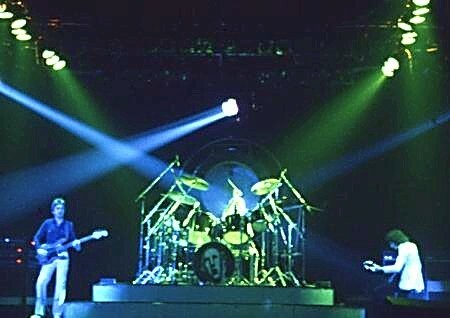 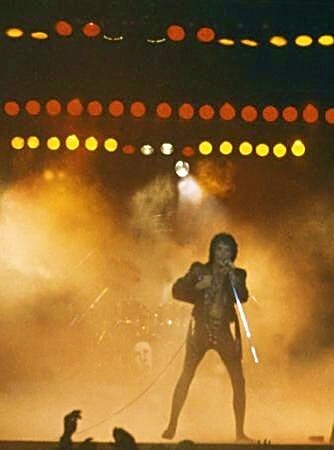 Queen were the first band to sell out three nights at this venue, the biggest in Belgium. 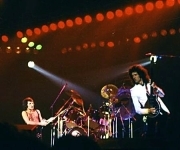 The colour pictures were taken by Alex Fontaine (the link was submitted by Matteo Ricci, and the pictures were later colour corrected and sharpened by Nino Trovato). 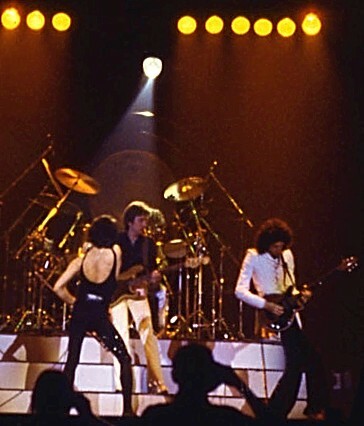 They could be from any of the three nights in Brussels, but they are surely from a different show than the one of Freddie in the black checkered leotard seen on the April 16 page. The b/w pic, submitted by Julien Cohen, could also be from any of the three nights.